In the space of forty years, the People's Republic of China (PRC) went from being a harsh critic of Western environmentalism to what some see as an international vanguard, an "environmental state" (Lang 2002). In 1972, Chinese delegates in Stockholm, at the world's first international conference on the environment, refused to sign global legislation, stating that pollution was a product of capitalism, not socialism (Tang 1972). By 2002, however, many outsiders praised the Chinese government's powerful and wide-sweeping environmental laws in rural areas.i China enforced the world's largest logging ban, converted massive areas of agricultural and grazing lands to forest, and confiscated hundreds of thousands of guns as part of increasingly strict laws against hunting. The state is not the only actor; popular protests, now amounting to over 100,000 events a year, are increasingly expressed in environmental idioms, and citizens rally to decry air and water pollution, as well as their relocation from massive dam projects (Economy 2004, Mertha 2008). Citizen complaints to the government about environmental issues rose ten fold between 1999 and 2009 (Moore 2009). A number of outsiders now describe China (using metaphors common a century ago) as "awakened" to the environment, and regard this as an inevitable result of globalization. Does China's recent attention to the environment demonstrate that, as the world is increasingly connected through globalization, all places are becoming more alike? Globalization is often thought to describe a "world becoming more uniform and standardized, through a technological, commercial, and cultural synchronization emanating from the West" (Nederveen Pieterse 1995:45). Many hold the related belief, expressed by the best-selling author Thomas Friedman, that "the world is now flat," as people everywhere have access to ideas, connections, and opportunities created by global systems such as the Internet (2006). Most accounts of globalization take a bird's-eye perspective, which focuses on overall political trends or flows of global capital (Steger 2004). By looking closely at a social field like environmentalism, and how it is playing out on the ground in one of China's most active regions-the southwest's Yunnan Province-this book offers a different interpretation. This study of China's environmental politics provides a way to think differently about globalization, and in particular globalized formations. I use this term "globalized formations" where others might use the more common yet narrower term "social movements." The most common image of a "social movement" is a street-based rally, where people fight to transform state policy, such as creating new civil rights laws. I use globalized formations, however, to signal my interest in a broader constellation of social acts and spaces than what is often understood as a movement, which is often understood as a more temporally and socially discrete set of events towards specific goals (Givan et al. 2010). My subject is to explore how new sensibilities are taken up, fought against, and transformed among a wider public. Examples of globalized formations include movements around gay, indigenous, and women's rights.ii My analysis of globalized formations emphasizes the critical role played by ordinary people in what I refer to as "making the global." My understanding of these processes has been shaped by my extensive and ongoing engagements with many people in Yunnan Province, where in 1995 I worked, lived, and conducted research. I use oral histories, interviews, and archival research to take us back to the beginnings of international conservation efforts starting in 1986, when representatives of the World Wildlife Fund (WWF) first came to inspect Yunnan's tropical rainforests and search for China's last herds of wild elephants. I explore the subsequent two-and-a-half decades as Yunnan went from being a relatively unknown site for nature conservation to becoming a prominent and influential place for global environmentalism. By 2011, Yunnan was well known for its wide range of habitats, from lowland rainforests to rugged Himalayan peaks. It is highly mountainous and contains the headwaters of some of Asia's great rivers: the Yangtze (Chang Jiang), Mekong (Lancang), and Salween (Nu). It joined the list of the world's "biodiversity hotspots" and is now claimed as "arguably the most botanically rich temperate region in the world" (He and Li 2011). Dozens of international NGOs, the World Bank, and the Asian Development Bank are deeply involved in trying to shape the management of these landscapes. Many would argue that Yunnan's inclusion within international conservation networks seems to provide evidence that globalization has flowed to even the most remote places. Indeed, when I arrived in Yunnan in 1995, I, too, understood environmentalism as a global flow that originated in the West and was now spreading throughout China, propagated by groups like WWF. When I started to teach at a forestry college, I found that my first-year students were often puzzled over what "environmentalism" meant. As I learned more about China's history, I began to understand why this might be the case. I grew up in the United States during what some called an environmental revolution, as exemplified by the world's first Earth Day in New York City in 1970. I was influenced by the legacies of Henry David Thoreau, John Muir, and Dave Foreman of Earth First!, a radical pro-wilderness environmental group. By high school, I was a passionate environmentalist and worked on several campaigns to raise money to save tropical rainforests. Yet in 1970, China was in the midst of its own revolution, the Cultural Revolution, and some cities became combat zones where young Red Guards fought each other with grenades and tanks. Some of my students in Kunming were born in 1976, the year Mao Zedong died and the Cultural Revolution ended, and raised after China's massive market reforms started in 1978. They had heard of environmentalism, but were not quite sure what it really meant, unlike their teachers, who, I found out, had been engaging with it for years. These teachers, Chinese scientists who were also my colleagues, referred to the rise of environmentalism as a wind (feng), and specifically as the "environmental winds" (huanjing feng), and it became clear that they were not simply accommodating global environmentalism as advocated by WWF.iii Instead, they were actively reshaping these winds conceptually and in relation to China's unique history. The concept of the environmental wind was different from how I had previously come to understand the ways globalization works, particularly with respect to the metaphor of flows. When people speak of globalization as a flow, it suggests a force that emerges and spreads without human agency. In contrast, the Chinese view of winds as social formations, made and maintained by people, offered me a different perspective on how globalization happens. Through many discussions I had in Yunnan, it became increasingly clear that winds do not simply impact people; they are made, shaped, and transformed by people. The more I thought about their perspective on winds, the more I believed that it offered a different, more radical view of what we understand as globalization-one that moves us away from seeing it as a force that emerges by itself or is created solely through the efforts of a few powerful individuals and corporations, a "conspiracy of the rich." Rather, many people, from rural small-scale farmers to government officials, shape and make the global, but not necessarily with the same intent, capacity, or outcomes. I also found the notion of winds an intriguing concept for thinking about power and the ways that groups can be forged and inspired by new political possibilities. Many analysts of China, from academics to journalists, regard politics and power as a top-down imposition, which ignores the ways diverse groups of people become caught up within new social formations. 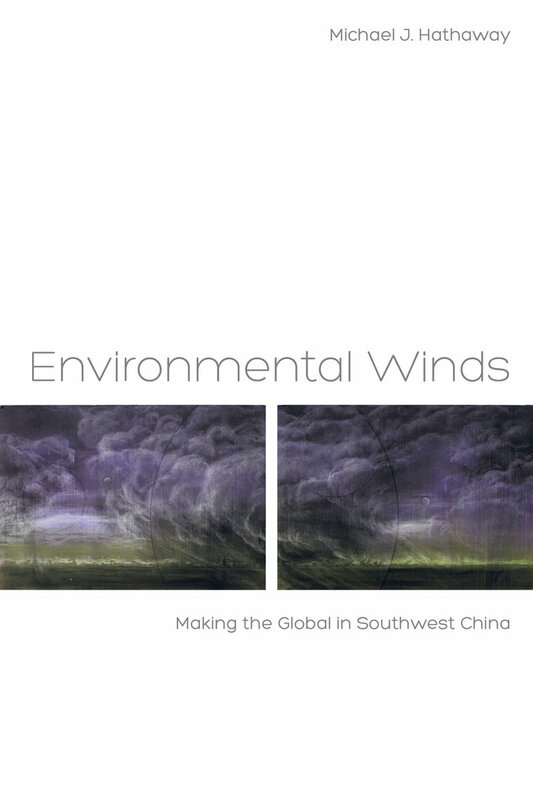 The metaphor of winds suggests that we cannot know what happens by only studying Beijing's political proclamations; instead it brings us into the lives of Chinese experts, rural activists, expatriate conservationists, local leaders, and all those who have a stake in what happens next. When winds are powerful, there are those who live in the full force of this power, those who live in the eddies, and everyone in between; but all are shaped by, and all are themselves shaping, the winds, regardless of their intentions. Before I arrived in China, my readings in the social sciences prompted me to anticipate that rural peoples in the Global South, and particularly those described as indigenous peoples, were fundamentally resistant to external forces such as state mandates and global impositions. The notion of winds also challenged my expectations that rural people aim to live autonomous lives, people who strive to be free of interference from both state and global forces. The idea of winds refuses such schemes of fixed responses and clean divisions between local and global, and encourages us to look at how a range of people, including both urban experts and rural villagers, engage with forces in diverse and creative ways. I also was interested in the dialogic and transformative aspect of winds. Like physical winds moving through a landscape, the movement of social winds is iterative; the social landscape is constantly shaped by and shaping the movement and power of the winds. When millions of people actively embraced China's Cultural Revolution-attending rallies, reading Mao's Little Red Book, traveling across the nation, and joining the Red Guards-this buoyed its strength. When others began to refuse some pervasive elements of the time, such as Red Guard groups who organized to oppose the rampant physical violence, for example, these actions affected the force and qualities of the winds. This metaphor of wind is not uncommon in China. Many elderly people described their lives as a dizzying series of winds-"Let a Hundred Flowers Bloom," the "Great Leap Forward," the "Cultural Revolution," and the "Opening of China." They described these changes as shifting winds rather than as concrete and predictable stages: things were quick to change, powerful, and then with little explanation gone but with ramifying and lingering effects. I was taught other words that describe situations similar, but different than a feng. The related term re (literally "hot," but figuratively a "fever") describes a situation closer to the English equivalent of fad or fashion, which can be a large-scale social phenomenon, but is often less all-encompassing, and feels quickly fleeting. The term yundong (mass campaign) describes government-led campaigns with discrete beginnings and endings that may not sweep people up. Feng, instead, refers to times of more diffuse, but still notable, changes that are deeply felt engagements. I build on this latter sensibility, as winds are not just terms for political events, but structures of feeling that change what it means to live in the moment and create lingering effects. After weathering these winds for years, many people said they had cultivated a heightened attention to detect shifting winds on the horizon. Their stories were full of accounts of trying to position themselves and their families to avoid the political purges and dangers that a wind like the Cultural Revolution could bring.iv A wind could not only bring about threats, it could also provide potential advantages, depending on how one acted. Many people seemed alert to new winds, knowing that they were fleeting, rather than permanent. A wind often started with little notice, and some rapidly became powerful. Just as quickly, a wind could change course or dissipate. Let me provide another example of powerful winds that shaped Chinese history, winds that quite strongly shaped natural landscapes as well as social ones. The Great Leap Forward (1957-1961) swept up millions of Chinese in enthusiastic all-out efforts to create backyard steel furnaces in order to quickly overtake England in steel production. Throughout the countryside, peasants scoured the land for iron ore and cut down millions of trees to fuel these furnaces, in some places leaving a wasteland of stumps. At the same time, they built a massive infrastructure of over 40,000 reservoirs and canals, significantly expanding the country's potential for agricultural irrigation.v Large-scale agricultural communes were quickly amalgamated, and leaders competed to produce previously unheard of levels of grain. In the midst of this rush to build socialism, things went seriously awry: grain yields were vastly exaggerated, large quantities of grain were siphoned off to feed city residents, and peasants neglected their fields, resulting in the world's largest human-caused famine. Approximately 30 million people died, and although estimates vary substantially, the vast majority of those that starved were rural farmers who lacked sufficient access to their own crops (Yang 1998, Thaxton 2008). The legacies associated with these winds are still felt as China continues to be powerfully shaped by the Great Leap's enduring ecological, cultural, and social effects, many of which are strongly debated today. In China, the idiom of "winds" has been used mainly to describe changes at local and national levels (like the Great Leap). I extend this concept to help us examine social change at broader scales-in this case, how the globalized formation of environmentalism is made and remade as it travels around the world. The ways that globalized formations work out in any place are strongly mediated by historical legacies and social landscapes. In Africa, for example, current forms of environmentalism engage with a legacy where nature conservation has been a key area of European colonial intervention, and conservation remains more racialized and militarized in Africa than in any other region in the world. In China's case, specific Cold War tensions with the United States inflect how its government works with American organizations. This points to how "global" interactions can be more insightfully understood as particular transnational articulations. As well, globalized efforts are shaped both by how the Chinese state actually operates as well as how many foreigners view the Chinese state. Winds provide a way to think about how such formations come into being, and how they are reciprocally re-made through a study of particular encounters and interactions. While environmentalism was not nearly as powerful as the Great Leap, starting in the 1980s this wind blew through Yunnan during a time of considerable social change.vi In the beginning, many people, from high-level officials to college students to remote rural villagers, began to mull over this term huanjing (environment/ environmental), which was gaining in prominence and power. It formed an umbrella concept covering both older interests in soil erosion and water conservation and newer concerns about urban pollution and biodiversity conservation. By the 1990s, millions of hectares were designated as nature reserves and fragile upland watersheds; millions of dollars were spent to guard such reserves against local farmers, now regarded as threatening the land with their hoes, guns, and cows. But as many understood, winds change, and by the 1990s, a number of people, including some Chinese scientists and expatriate conservationists, began to challenge strict forms of nature conservation. They suggested that villagers should not be viewed as environmental adversaries, but should be enlisted as communities to participate as partners, or at least stakeholders. Furthermore, they argued that some of these communities were not made up of peasants but of indigenous people who possessed "indigenous knowledge" and "sacred forests" and were entitled to special rights under international law. Although this contradicted Beijing's insistence that all Chinese were equally indigenous, and that no one in China deserved special rights, this community orientation nonetheless opened new spaces for differentiating between rural communities on the basis of indigeneity. It also unexpectedly provided scientists with a way of challenging mainstream development and conservation initiatives. These dynamics did not unfold simply as an extension of winds blowing from the West; they emerged out of unique histories and relationships among social groups, between people and nature, and between Chinese citizens and the state. This book explores how these winds caught people up and how people, places, and the winds themselves were changed unexpectedly in the process. It brings us into the lives of those individuals who not only encountered environmentalism, but brought it into being in China. By exploring how these winds gained force and shaped Yunnan's social landscapes, this book addresses larger questions about how people in China, and elsewhere, are making the global. When environmental laws were first being made and enforced in Southwest Chinavii in the 1980s, they were particularly striking because such frameworks were so unfamiliar.viii There were few legacies of restrictive nature conservation laws.ix A brief tour through China before the environmental winds is instructive. In the mid-1950s, there was a short-lived opening when biologists successfully lobbied to create nature reserves, but such efforts were largely abandoned within the decade. At that time, the entire country became swept up in campaigns, like the Great Leap, that encouraged the rapid expansion of agricultural lands-a process referred to as "opening wastelands" (kai huangdi). These campaigns intensified after famines in the early 1960s: officials exhorted rural Chinese commune members to clear forests, plow grasslands, and drain swamps to convert them into fields of grain. The slogan "Learn from Dazhai"-a model commune that tirelessly converted sloping hills into irrigated, terraced fields-was promoted and widely emulated. In southern Yunnan, thousands of youth from urban China came to slash and burn tropical rainforests and replace them with vast plantations of rubber and tea. In the 1950s, biologists published a series of books, intended for commune leaders, to guide farmers in wild animals and their "rational exploitation" (heli kaifa,a term with a positive connotation). Some birds, such as the Black Necked Crane, historically considered sacred in China (Matthiessen 2001), were killed for their down feathers, which were sorted into three grades and mainly shipped abroad.xi Biologists were sent to explore western China, most of which remained a great unknown to those based in Beijing. Waves of experts, including geologists, linguists, anthropologists, and biologists were sent to map, classify, and develop rural areas economically and politically (Kinzley 2012, Fei 1980). When the government began enforcing environmental laws in the late 1980s, villagers often regarded these changes with a mixture of shock and resignation. The laws greatly restricted villagers' capacity to farm, hunt, collect firewood and take care of their animals (sheep, cows, goats, pigs, mules, yak, and horses), by taking them to graze, collecting wild foods and gathering bedding material for their pen, such as pine needles and oak leaves. Together, these tasks formed the core of the vast majority of rural people's livelihoods, providing goods for self-provisioning and the market. Many had few alternatives for supplementing household income, as opportunities for paid work were rare. Moreover, villagers were shocked to find that the new law positioned them as criminals. For decades, they had been regarded as China's vanguard, the key force of socialist revolution, and the providers of critical grain supplies. They had followed patriotic mandates to build rural China into a land of productive agriculture, and now these landscapes were being dismantled or abandoned for reasons that were often unclear. Even worse, such rules turned them even further from their status as China's revolutionary masses (geming qunzhong), a position that they had already largely lost by the early 1980s, when China turned away from socialist orientations towards a market economy. The new regulations were part of a growing official and urban view that rural people were the presumed enemies of wild animals, forests, grasslands, and wetlands, all of which were now protected by state employees (Williams 2002). Yet by the late 1990s, China started to enact forceful policies that covered vast areas, precipitated after the Yangtze River flooded its banks in 1998, devastating a huge region of 25 million hectares and killing thousands (Lang 2002).xiv Chinese officials blamed upstream logging, farming, and grazing for causing the catastrophe, and in response, started to ban agriculture on slopes greater than a 25 degree angle throughout the massive uplands watershed of the Yangtze River, an area more than twice the size of California. This policy was especially harsh for farmers in Yunnan, who often plant crops on steep slopes in a province that is 95% mountainous. The ban also wreaked havoc for local governments, some of which earned 80 percent of their revenues from taxes on logging. These local governments, cut off from logging revenues, struggled to find new sources of income, such as promoting eco-tourism or hunting wild matsutake mushrooms for export to Japan. Villagers were told to stop farming sloping lands, restore grasslands, and plant trees. Engineers were hired to break dikes and restore wetlands, destroying families' fields and crops. A hunting ban was followed by a large-scale campaign to confiscate guns throughout western China. Villagers who I lived with were deeply impacted by losing their guns, which had been a critical part of everyday life for over a century. They had relied on guns to hunt, protect themselves against bandits, and scare away crop-raiding animals (including elephants). Indeed, some upland families credited their guns with keeping them alive during the Great Leap Forward famine by making it possible for them to live on wild game meat. It is thus not surprising that handing over their guns to the police was felt even more intensely than other laws that restricted their use of forests for planting crops or gathering fuelwood. By the late 1990s, a number of experts, conservationists, and development staff had begun to challenge such a hard-line position, and advocate for working with communities in ways that appreciate their knowledge and, to some degree, promote their rights. This new approach was not always embraced,xv but it provided new techniques, trainings, and funding packages, as well as a critical vocabulary and webs of support. It created new opportunities for social scientists to work together with natural scientists, foresters, and development agents; to visit villages and build new networks, such as community forestry associations; to forge links between rural villages and urban centers, and between people in China and throughout the world. Yunnan, in fact, became an early leader in China's experiments with community-based techniques, and it produced several activists who later challenged international conservation NGOs working in Yunnan that were slow or inconsistent in applying a social justice framework. Kunming was becoming one of China's centers for international conferences on environmental topics, and a major site of translation between foreign and Chinese agendas, and many livelihoods began to depend on these relations. The overall change was dramatic. Those who followed new community-based models of development saw local people as holding knowledge and experience that made them valuable partners for development experts.xvi The larger aim was often to recognize communities' history of land use and build collaborative relationships. This involved de-criminalizing, legitimizing, and even encouraging some practices that had been frowned upon during the period of strict conservation, such as the collection of herbs and mushrooms from state-claimed forest lands. Initially I thought that this new community-based perspective represented a paradigm shift, both because the growing strength of that perspective seemed to insure its dominance, and because its conceptions of nature, local people, and governance were so different from earlier approaches. Yet it became increasingly clear, both in academic and policy debates, as well as through my own observation of environmental politics in China, that a community perspective did not completely displace earlier winds that were informed by coercive conservationxix-just as the environmental winds themselves had not totally replaced earlier mandates to expand and modernize agriculture. Thus, I began to see the changes that have occurred over the past three decades less as paradigm shift and more as a series of shifting winds-forces that changed in tempo, direction, and intent. Michael J. Hathaway is Assistant Professor of Anthropology at Simon Fraser University in Vancouver, Canada.